While returning from my exploration of the fringes around the Tootgarook Swamp and photographing Striated Fieldwrens and Golden-headed Cisticolas I stood at the edge of the track looking into the swamp and my eye caught some movement at my feet. 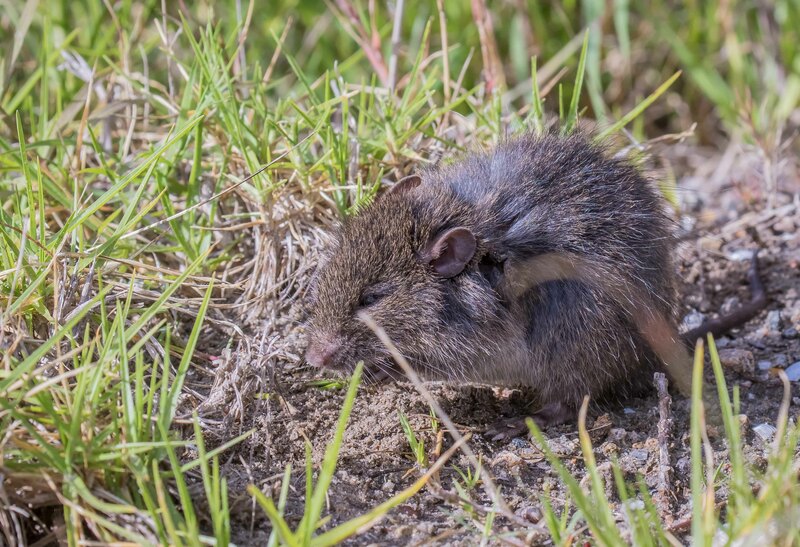 It was a native rat – an Australian or Eastern Swamp Rat (Rattus lutreolus). It is the first time I have seen a native swamp rat. 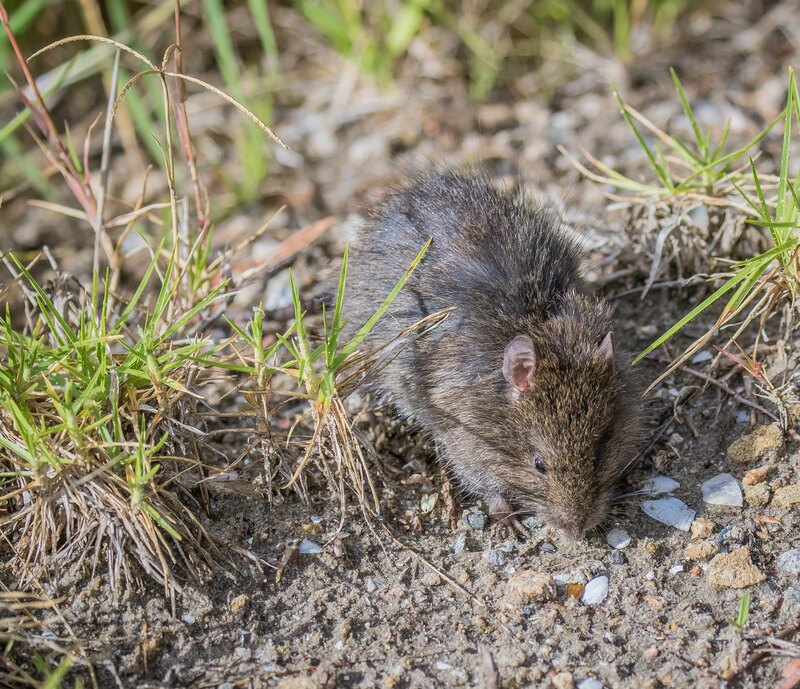 I have seen and photographed Rikalis (native water rats) a few times but never a swamp rat. 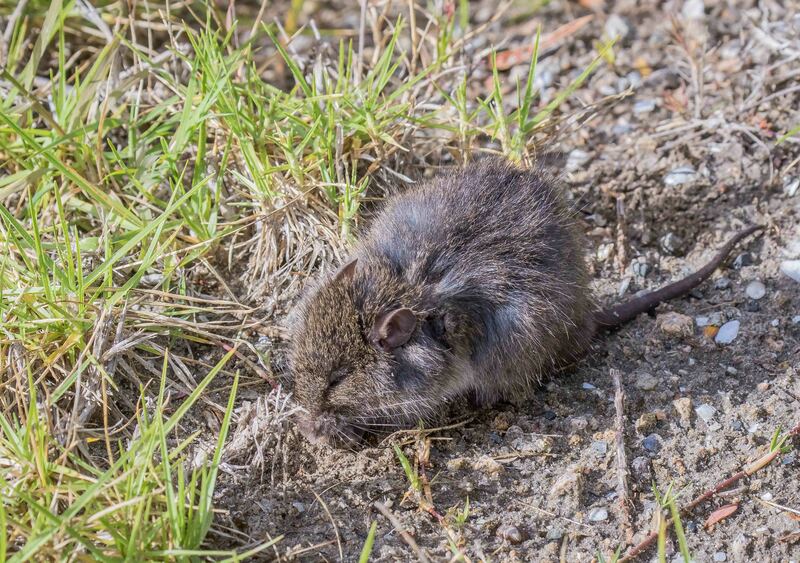 It took me a little while to convince myself I was not looking at the standard European black or brown rat. Its behaviour was odd – it seemed to totally ignore me no matter how close I got and only reacted when I made a decent noise (dropping to my knees with all my gear clanking around me). I saw that it had a deep wound on its side – it looked to be healing but may have resulted in unusual behaviours. With the raptors circling above I doubt it will live long coming into the open. While ignoring me it fed on small grass seeds and dug up roots at the base of the grass. 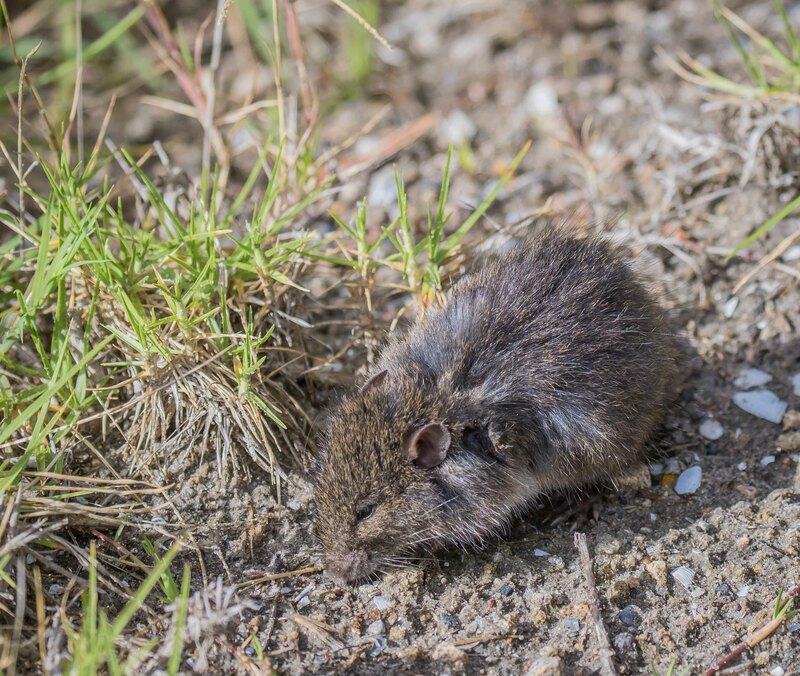 The tail is much shorter on a Swamp Rat compared to a Black Rat.